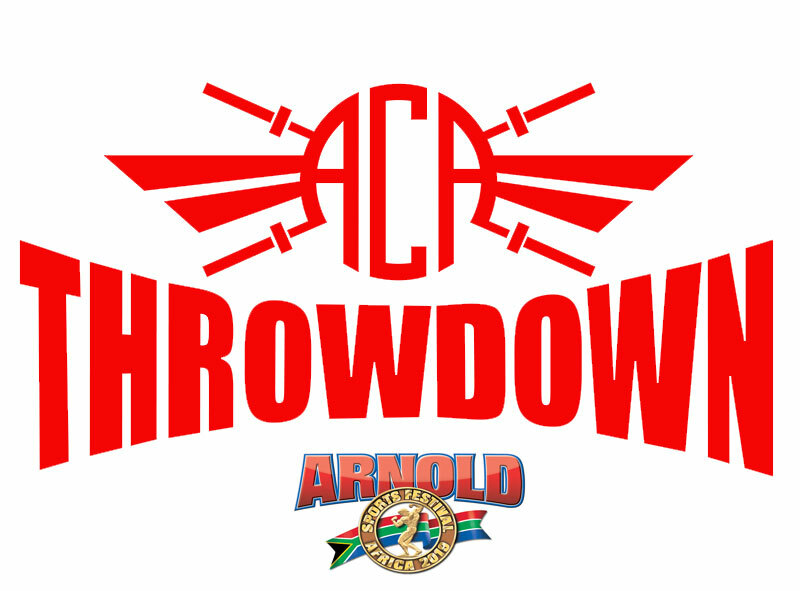 I Michael Maritz promoter of the ACA (a cut above) Throwdown held at Arnold Classic Africa Sport festival is very excited as count down officially began to the 4th ACA Throwdown. I am so looking forward to see you all in action at the Throwdown. The magnitude of the Arnold Classic Africa Sports festival will blow your mind as 80+ sporting codes with over 20 000 athletes and 95 000+ spectators will partake in it. This year we have the same area and space as last year. We will be situated in the middle of Level 2 Exhibition floor. One of the main features and highlights of this event is that the legendary Arnold Schwarzenegger will visit all the sporting codes during the course of the weekend. Arnold did visit the Throwdown in 2016 and in 2017 , unfortunately due to illness he couldn’t attend the 2018 Arnold Classics Africa. Arnold will be back this year. The mission of this ACA Throwdown is to bring together the Functional/CrossFit community from all over the country to compete for the title fittest team at Arnold Classic South Africa. The programming for this event will cater for advance; intermediate and beginner athletes. Please familiarize and adhere to this very important information. Failure to do so can lead to paying for your own accreditation and or disqualification. Entries open 25 January 2019. ACAT does NOT reimburse any payments after registration is complete, if your team can’t compete it’s up to YOU to find a replacement. You must inform the ACAT team of any such changes by no later than 30 March 2019 at michaelmaritz@lantic.net. Your entry fee will include the following: T-shirt, goody bag and weekend pass for the duration of the Arnold Classic Africa 2019. Any changes with regards to; team name; team member or division has to be done before closing date 30 March 2019. No changes will be allowed afterwards. Ensure that all team members have been added, with all the relevant and correct information as it is VERY important for accreditation. Wrong information will lead to NO accreditation and/or NO participation. The ACAT is a three-day event (17-19 May 2019) and yes all athletes have to be present from Friday 17 May 8am. Beginner: CrossFit less than 1 year or never entered a competition before. Intermediate: CrossFit more than 1 year up to 2 years or never entered a competition before. RX: CrossFit more than 2 Years or comfortable with all movement standards. Over 40yr: Already 40 years of age and older on day of Throwdown. The above applies to all the team members in a team. Anybody is allowed to enter outside of minimum requirement. The organizers serve the right to move teams to the appropriate category if need be. Athletes that don’t adhere to this rule will be disqualified along with their team members. Closer to the event (approximately one week prior to the event) Web ticket will send each athlete/official an sms and email with their accreditation ticket number/barcode which will then be scanned when you arrive at the Arnold Classic Africa entry gate. ONLY 1 ACCREDITATION TICKET WILL BE ISSUED PER PERSON FOR THE 3 DAYS, should you take it off or lose it you will be liable to pay general entry fee. Spectators can buy tickets online or at the door. For further information visit, http://www.arnoldclassicafrica.com. Registration and hand out of goody bags / t-shirts will take place Friday 17th May from 8am to 10am sharp at the Throwdown arena (Level 2 Exhibition floor Sandton Convention Centre). The movement standards for the for the ACA Throwdown will be the same as for the CrossFit Open 2019 and we urge you to Participate in the CrossFit Opens 2019. To judge at the ACA Throwdown you must have successfully completed the 2019 CrossFit online Judges course and actively be involved by judging in the CrossFit Open 2019. If you are interested please send mail to Marius at mariusrohlandt@gmail.com for approval. WOD 1;2;3;4&5 will only be released on 1st May 2019. Questions on WOD’s will only be answered at athlete briefings. Final WOD - RX teams only. Heat allocation will work as follows. Day 2&3: Sat/Sun 18/19 May 2019 will work on the results of day 1. First WOD starts at: 12:30 pm. All athletes/officials/sponsors/partners of the Throwdown have to complete and sign the online waiver form which will also be available in hard copy at registration table on 17 May 2019. The ACAT organizers serves the right to change or alter any movement / WOD / program / division if need be. Any disrespect towards judges/officials or use of foul language will result in immediate disqualification. It is each athlete’s responsibility to look after their own belongings. When a team does not pitch when heat is called, they will not be moved to a later stage but will get a ZERO score.